Lovely cream colored cherries with pale rose blushing. They make a dynamic presentation atop a bowl of mesclun greens. 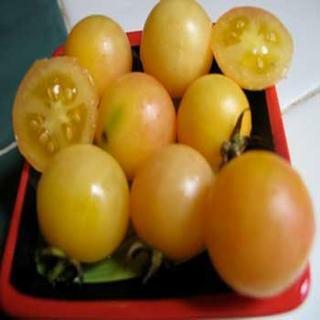 Delicately sweet tomatoes from this seed. Heirloom Seed Packet. Lovely cream colored cherries with pale rose blushing. They make a dynamic presentation atop a bowl of mesclun greens. Delicately sweet. I wouldn't be without this special tomato in any garden season.